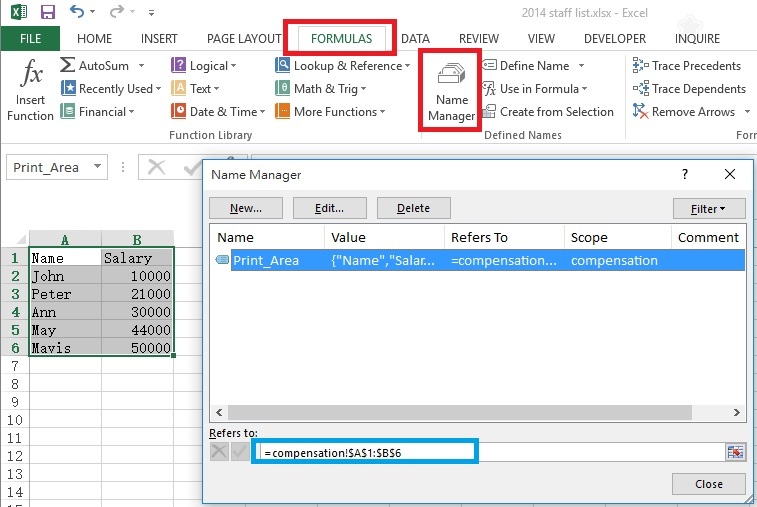 This Excel tutorial explains how to set dynamic print area. Print Area is a function to define the worksheet Range you want to print. You will find Range A1:B6 is named as Print_Area, which is the reserved name for setting Print Area. Unfortunately, the Print Area Range has been specified as A1:B6, it will not change dynamically if we input data in row 7. With blank data in column A, we cannot use COUNTA anymore, because COUNTA is to determine how many non-empty cells in column A. Suppose you have the data below. Currently you have data from January to October but it will grow to December in the future, you want to set Excel dynamic Print Area for the growing row. What the formula means it that, I refer to Range B1 as a starting point of OFFSET, and the height is expanded to the last row of column B, width is expanded one column to the left (-2). I use COUNTA because I assume all cells in Value should be non-empty. Now whenever you type something in the Value, you see the Print Area (the border) is instantly resized.